Features video resolutions up to 4K, 12MP photos up to 30 frames per second, built-in Wi-Fi, SuperView¿ and Auto Low Light modes. Waterproof to 131¿/40m. 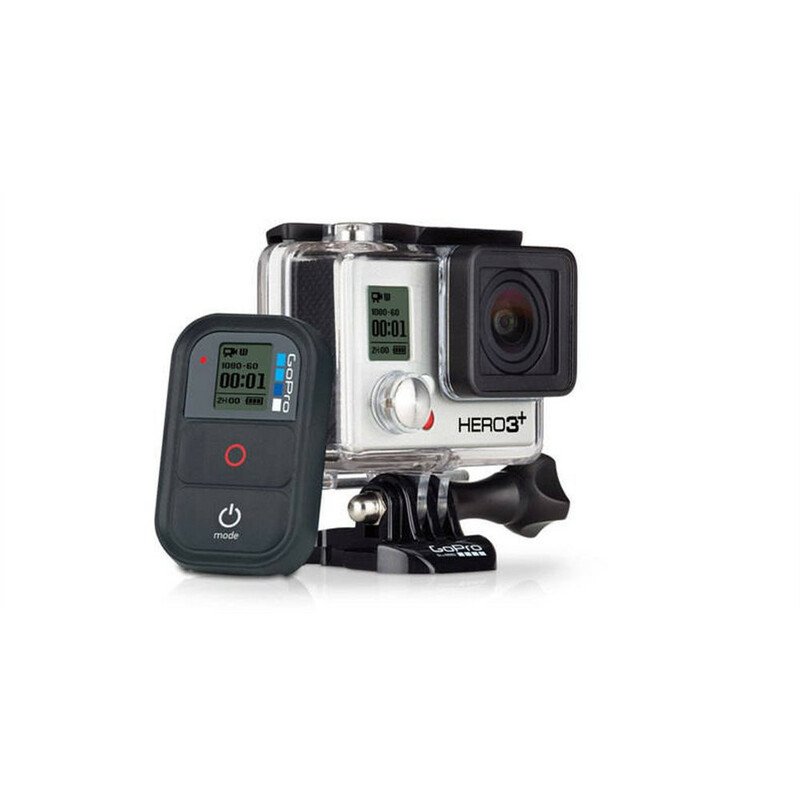 Stunning video quality has made GoPro the world¿s best-selling camera company, and the HERO3+ Black Edition continues this tradition. High-resolution, high-frame rate 1440p48, 1080p60, 960p100 and 720p120 video modes result in professional quality footage and allow for liquid-smooth slow motion playback. 4Kp15 and 2.7Kp30 enable ultra high-resolution, cinema quality capture. The HERO3+ Black Edition captures gorgeous 12MP stills at up to 30 frames per second¿perfect for fast-action sequences. Time Lapse mode enables automatic photo capture at 0.5, 1, 2, 5, 10, 30 or 60 second intervals. Continuous Photo shoots full-resolution stills at a steady 3, 5 or 10 frames per second when holding down the shutter button. With 4x faster1 connectivity to the GoPro App, you can preview content in near real-time2, and share your photos and videos quicker than ever. The GoPro App makes it easy to control your camera remotely with a smartphone or tablet¿plus preview, play back and share your favorite shots via email, text, Facebook®, Instagram¿ and more.3 Also enjoy enhanced connectivity to the included Wi-Fi Remote, which enables control of up to 50 cameras from distances of up to 600¿/180m.